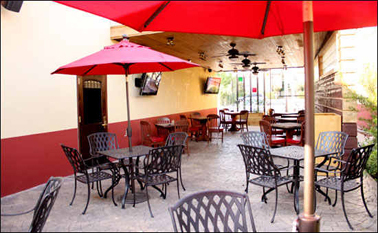 Laurenzo’s Grille is as a casual restaurant which features feature a rotating collection of sports memorabilia. Although Laurenzo’s Grille offers some Mexican fare, the restaurant takes Laurenzo into new territory. The menu features a variety of dishes such as burgers, steaks, prime rib, prime rib tacos and Italian food such as lasagna. Nice, clean, and comfortable atmosphere at this establishment. The scent that hits your nose when you walk in the door of this place will bring you to your knees... It's that amazing. If you have a serious appetite for some serious food then stop on by Laurenzo's. Laurenzo's isn't the pinnacle of dining in Houston, but as a casual place where you can get a really fine meal, it rates very highly.